The main road through the park is Skyline Drive, and almost all the hikes can be accessed from this route. The park map indicates the location of overlooks and parking areas by mileposts along this road. 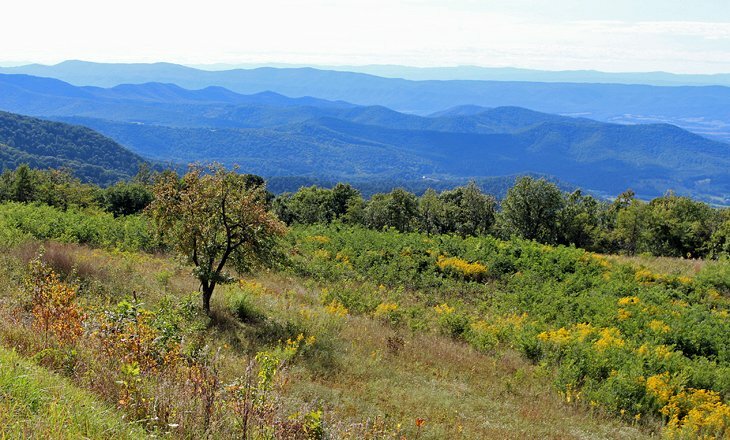 Unlike many mountain roads that run along the valley floor, Skyline Drive runs high along the ridge, with numerous scenic lookout areas. As a result, many of the hikes begin in a downward direction and end with a serious hike back up to the parking lot. With limited time or only a single day for hiking, it’s best to either choose two or three short hikes, making sure at least one is to an overlook and another to a waterfall, or tackle one of the full-day hikes. The view from Hawksbill Mountain is one of the best in the park, with two lookout areas near the summit. 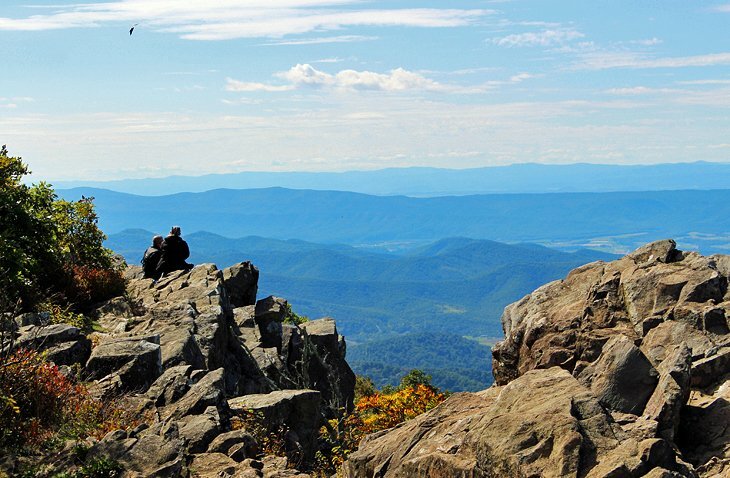 This is the highest point in Shenandoah National Park, and the rocky lookout area at the top clears the way for scenic views, with no vegetation to block the vista. If it’s a busy day with many hikers, there is still plenty of room at the top for everyone to spread out, relax for a while, and enjoy the moment. Near the summit is a day-use stone hut with a picnic table that looks out over the valley.